Trim: Sportster Hugger - 1,215 MILES! Harley-Davidson's incredible line up of motorcycles and decades of heritage need no introduction. 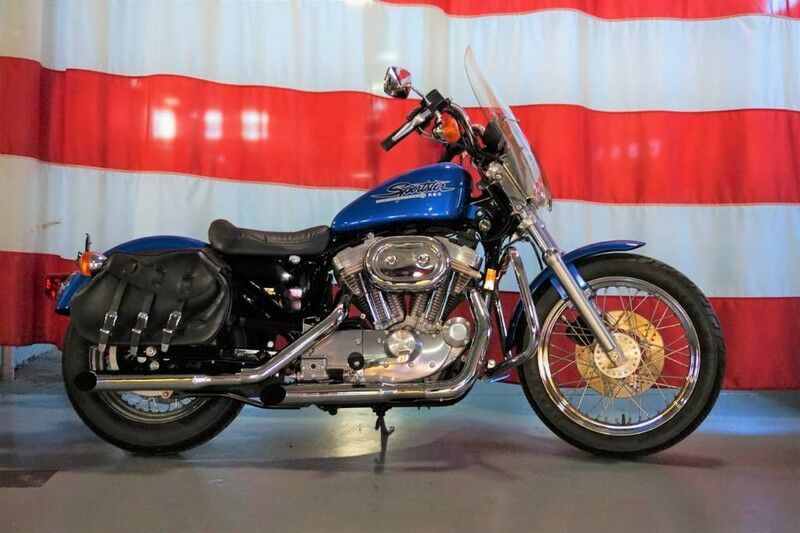 This 1997 Harley-Davidson XL883 Sportster Hugger, presented in States Blue Pearl, has traveled a mere 1,215 miles since new. Hailing from the ranks of a large, private collection, this Sportster was kept tucked away in a climate-controlled facility; ridden sparingly on only the nicest of days. With such limited use, it has remained in wonderful condition with very little sign of use. The States Blue Pearl paint is striking and befitting of such a well-kept Harley, grabbing the eyes of onlookers and enthusiasts alike. Known for its classic styling and rideability, the Sportster 883 is all business. The 883 engine is potent and provides plenty of performance, putting power to the ground via the 5-speed gearbox. The addition of a sports exhaust provide just the right sound and increase in performance. The carburetor has been properly rebuilt by an industry veteran and a new battery fitted. An excellent bike for both new and veteran riders, its low weight and nimble design allow for easy riding and cornering. This is one of, if not the only, lowest mileage examples currently available. If you are in search of an XL883 Sportster that is nothing like the rest, look no further and call today!